Presented by Kiloo Games and Sybo Games. DASH as fast as you can! 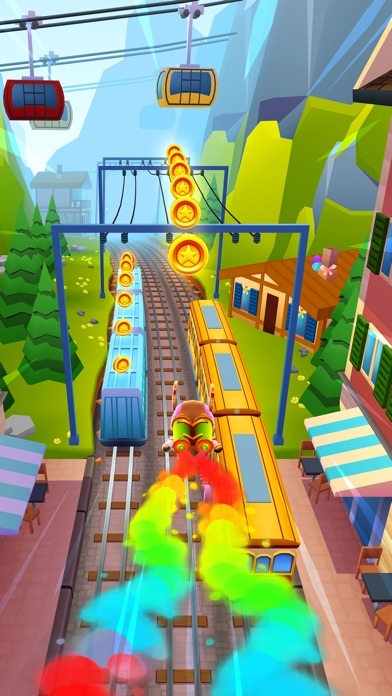 DODGE the oncoming trains! Help Jake, Tricky & Fresh escape from the grumpy Inspector and his dog. - Grind trains with your cool crew! - Colorful and vivid HD graphics! - Hoverboard Surfing! - Paint powered jetpack! - Lightning fast swipe acrobatics! - Challenge and help your friends! 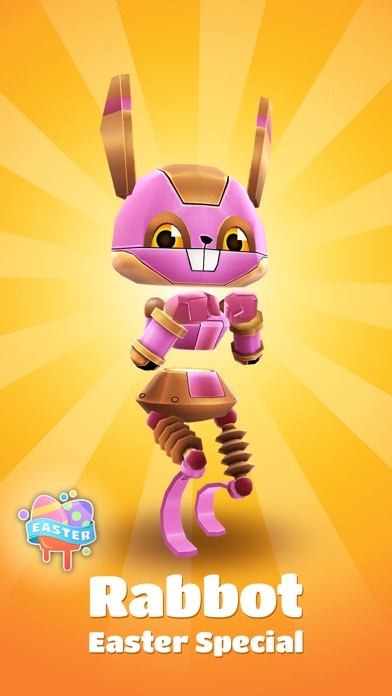 Join the App Store's most daring chase! A Universal App with HD optimized graphics for retina resolution. 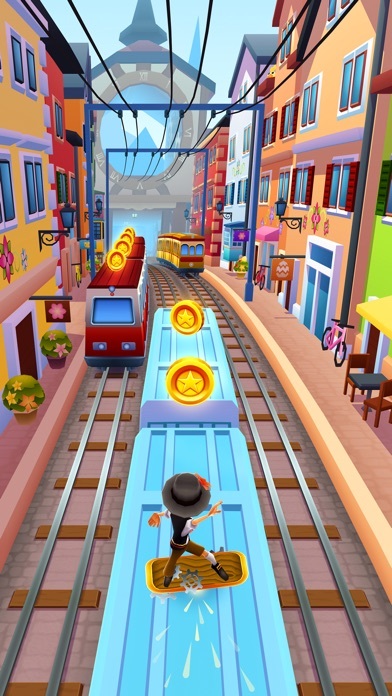 Subway Surfers is compatible with iPhone 4s, iPod 5, iPad 2 or newer. iOS 7 or later OS version is required. Now, Ima fan of this game but I gave y'all a one star. The app of update to Bangkok from Zurich. COME N MAN!!! 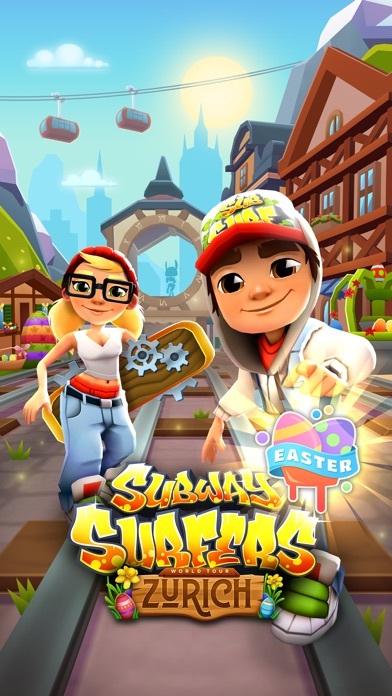 When your bored and have nothing to do then play subway surfers the best game around. 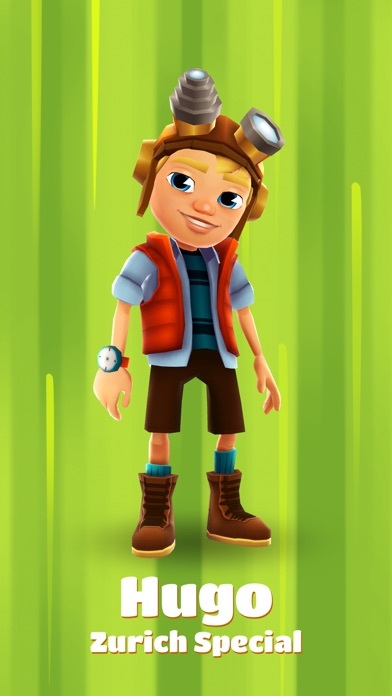 I’ve been playing subway surfers since I was 6. So it was like my childhood. 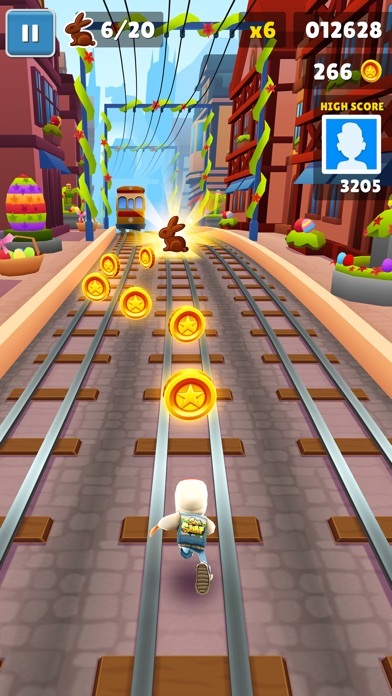 I love subway surfers sooo much!! I just redownloaded it and totally forgot how fun it is!